I was recently contacted by the lovely people over at Ocean Loans who specialise in finding a loan to suit your specific needs. I was asked to add a bit of summer to my living space within a £50 budget. 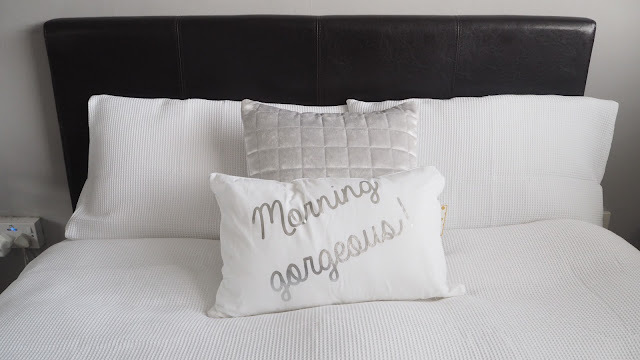 For me the perfect way to refresh your bedroom in time for summer is fresh crisp new white bedding. 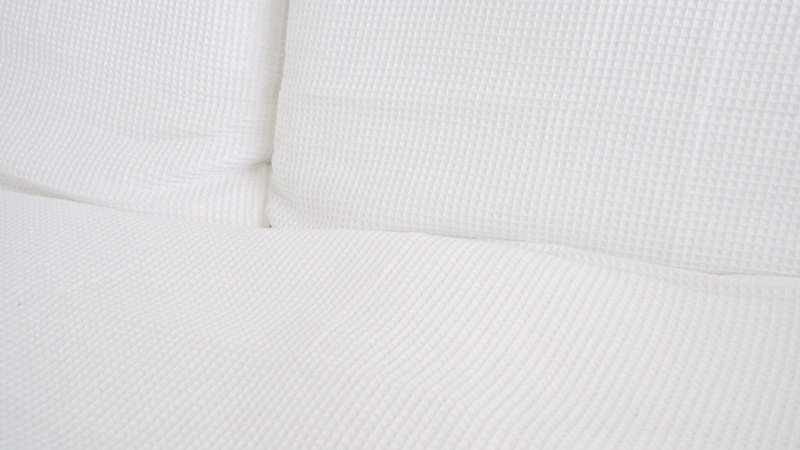 I purchased this Linea waffle textured bedding in the House of Fraser sale for £42 down from £60. I love the quality of this bedding it's quite luxurious and appears a lot more expensive than it is. Its perfect for summer and would look lovely in any bedroom. To go with the bedding I also purchased two cushions (only one of which fits within the budget, but I thought I'd show the other anyway) I went into BHS as I quite like their homeware section and I knew they had a sale on. I picked up this morning gorgeous cushion for £9 which I think is a bargain, I can't resist quote pillows! I also love the silver detailing on this pillow, again I think its appears a lot more expensive than it is. 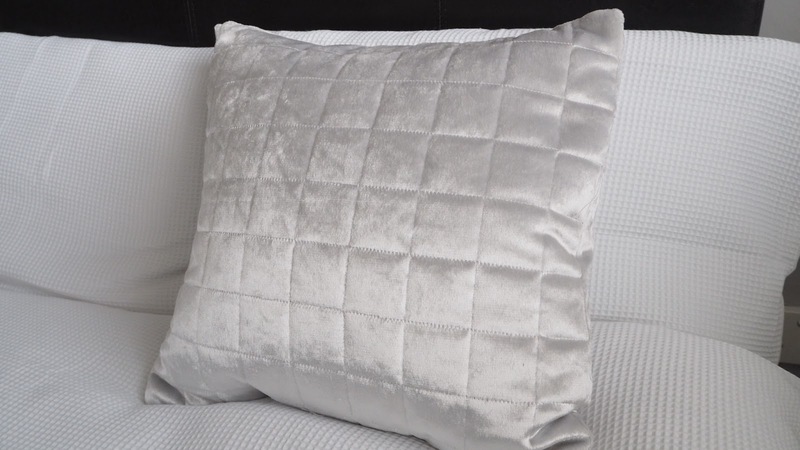 The other cushion I picked up is this lovely chunky silver cushion from Holly Willboughys collection also from BHS. This was on the slightly pricer side at £18 but I 100% think it's worth every penny. I loved working with Ocean Loans as part of this summer haul project I can't wait to add some more pieces to my bedroom to continue with my summer theme. 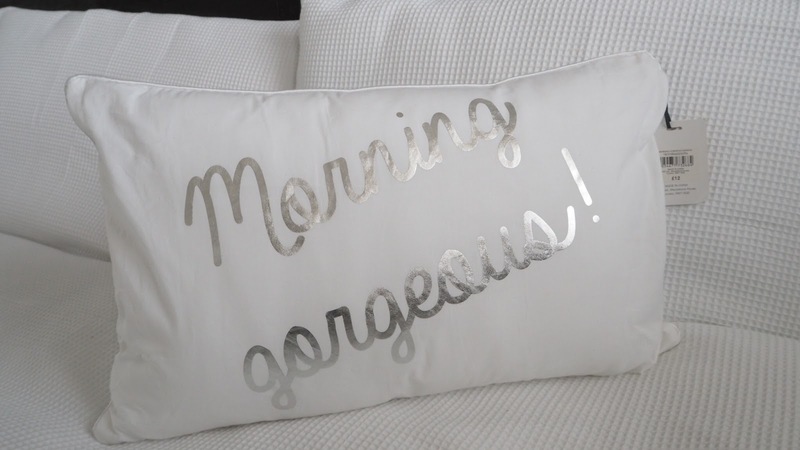 This bedding is beautiful! I love the idea of budgeting and sticking to it, it almost becomes fun trying to find bargains. I love those pillows! This is a great post.